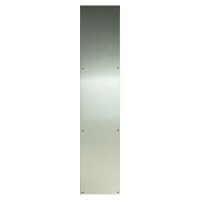 Here at locktrader we have a great range of door kick plates in various sizes with a silver finish. 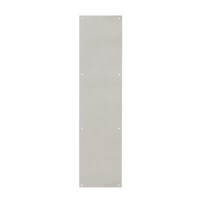 Door kick plates are screwed to the bottom of a door to offer kick protection from through traffic. Door are often held open or pushed open with a foot, these plates will limit any damage that might be caused when holding or pushing a door open. Kick plates are often found in corridors of public and commercial building.